Eating, exploring, hiking, swimming. 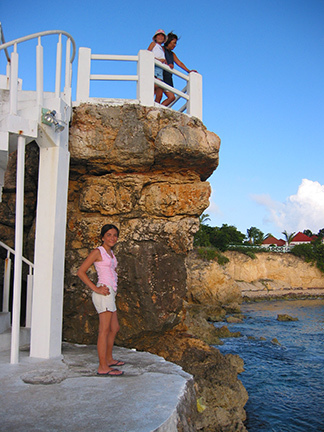 Those are not the only things we did during our one month stay in the Caribbean! We also did something a little more adventurous, a "first" for us landlubbers... snorkeling! 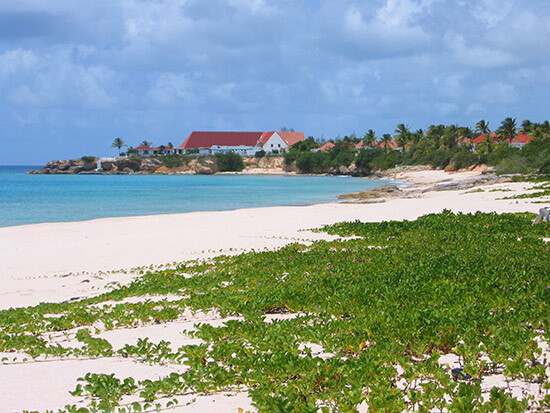 Before we had left Montreal, we had read that Anguilla island is an ideal spot for snorkeling. So my Dad and I ran off to a scuba diving & snorkeling shop here in Montreal. We bought some snorkels, fins, masks etc., everything we would need to have the experience of a lifetime. And then we sped off to the camera shop. My dad was so excited that he spent 400$ on a water-proof camera case for his Canon S40 digital camera. While in Anguilla, we were quite lucky to have such a great snorkeling area so close by. So close by as in... right outside the front door of our villa on Barnes Bay! On this side of the beach there is a quiet little cove, as you can see. There is a massive rock (on the right, not shown) that forms the right side of the little cove. 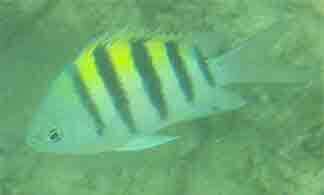 The water is shallow here, and you don't have to swim out very far to see some brightly colored fish. And if you push on to the end and around a corner of rocks, you'll see schools of hundreds of bright yellow fish! I was in awe! There is a wide shallow reef that comes in very close to shore, and also extends a fair way out. Just snorkel easily all over, and look for the little caves and holes. They are all full of beautiful fish. But, the true beauty is deeper out. One day my dad and I swam out further, and further.. really far. I felt like a shark might be in these waters. But we were rewarded! We hit the jackpot! The water was deep, the fish were bigger and more colorful. Even though I was exhausted, it was worth it. I looked over the edge of the platform, and saw tons of beautifully colored fish swimming in the turquoise water. It was amazing to see so many exotic fish in one area. And on the other side, there was a little water cave that you could snorkel through. 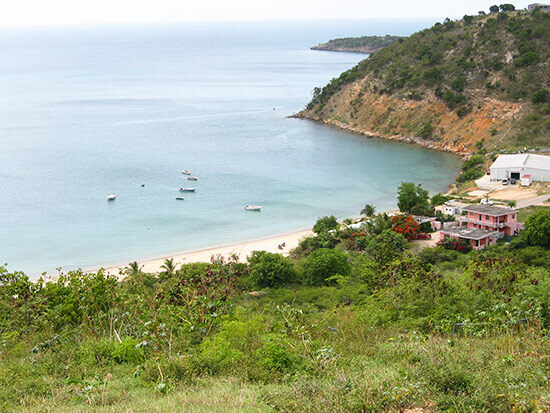 Of course, Barnes Bay is not the only great spot for snorkeling, it's just our little secret. There are so many other spots, some quite famous! So let's get on our gear, and get going. Oh yeah! Can't forget that camera and its case, dad! 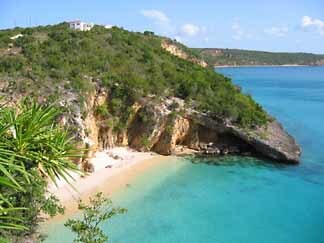 Probably the best known spot in Anguilla for snorkeling. 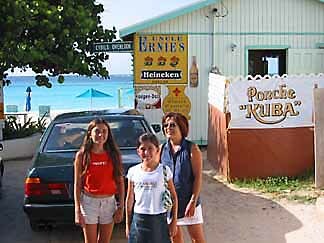 From the minute you step past Uncle Ernie's, and onto the beach, you're guaranteed to be approached by a man with a boat willing to take you out to the deeper reefs, with the more exotic fish. These "beach ambassadors" are very friendly and know the best spots. They even have an underwater snorkeling trail! If you're just looking for "closer-to-shore" snorkeling, you can't go wrong -- but the real wonders are farther out. All the locals know it as a super snorkeling spot, some tourists, too. So fantastic that some people go spear fishing. 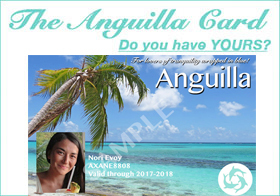 Only Anguillians are allowed to spear-fish, no foreigners allowed! It saddened me to see them on a spear. They should leave them there for everyone to see! Now let's take a boat ride over to...Sandy Island! 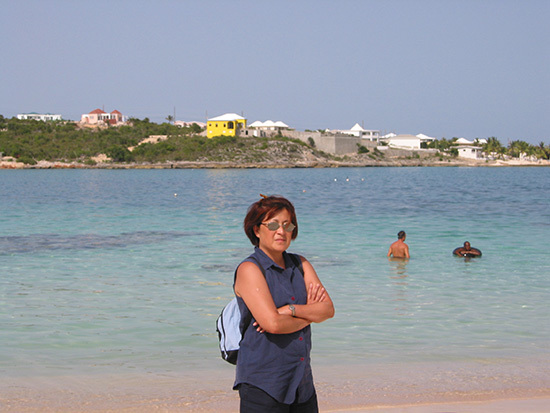 This speck of sand is located offshore of Anguilla island. It's famous for it's fabulous snorkeling and scuba diving. We never had the chance to visit Sandy Island. 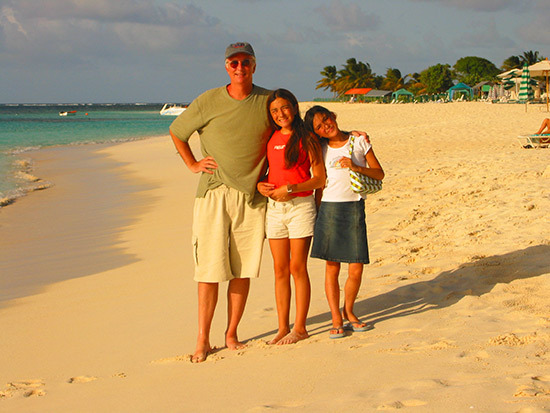 But it's definitely a day trip we are looking forward to for our next visit to the Anguilla island. You can catch a boat from Sandy Ground and spend a few hours... or spend the day. You'll have the experience of a life time. The fish are absolutely spectacular. Better than you could ever imagine! But I was always a little worried about sharks (even though everyone told me there were none around for miles). Snorkeling opens a whole new world -- maybe next time, we'll really get adventurous and take the scuba diving courses offered here! Only one thing to complain about... the camera case!!! It wasn't what we thought it would be. The problem was that you couldn't see the LCD screen on the digital camera, and my dad says that it was hard to feel the shutter button. So he could only point in the general direction of the fish. And since he couldn't feel the button click or not, the timing of the photo was always off. 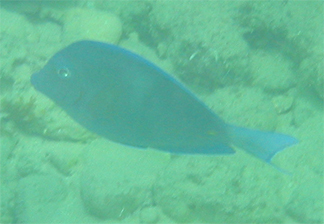 Of all the nice fish we saw, he only got a few half-decent pictures. Since it takes a lot of work to get the case ready, and my Dad does not like to do finicky things like this, I think I'll be auctioning that case off at eBay real soon! Yippee! Even though the photos disappointed, we will always have so many unforgettable memories. It was quite an experience! Way weirder and rarer than a fish! 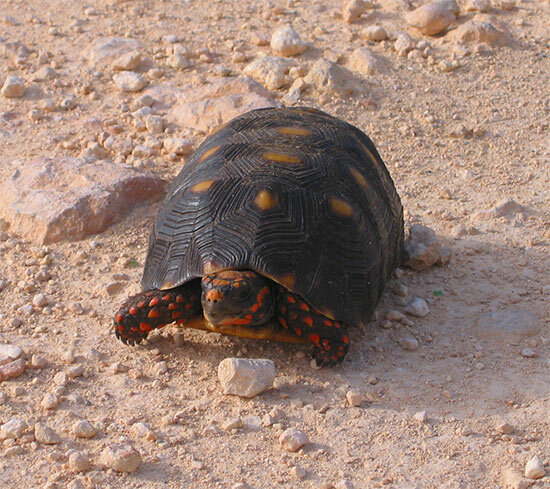 Not too many people see tortoises wandering around Anguilla! Heck, I've never seen one anywhere in the wild before. Anguilla sure is a place of many surprises... superb snorkeling and toddling tortoises! 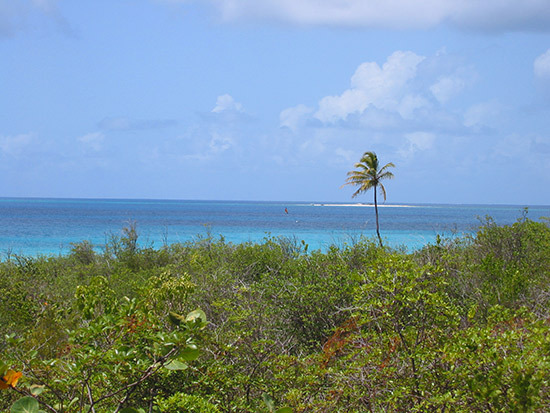 Snorkeling enthusiasts, Dan and Wendy share their favorite snorkel spots around Anguilla. From eels and manta rays to colorful, tropical fish, they point out the best reefs and bays for snorkeling. If you have spotted a lionfish while snorkeling in Anguilla, it is hard to miss! Gracefully elegant, it is an undeniably beautiful fish, yet invasive to Anguilla's waters. Here's a little more on the history of the lionfish and a tasty way to help "population control" in Anguilla. 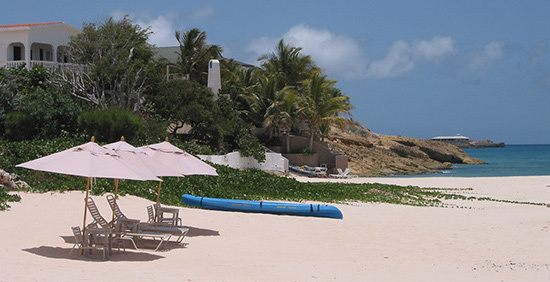 For an immersive Anguilla snorkeling and offshore cay experience, Shoal Bay Scuba is an excellent choice. One of the safest boats on the water, Shoal Bay Scuba's crew knows Anguilla's top (and hard to reach) snorkeling spots better than most. 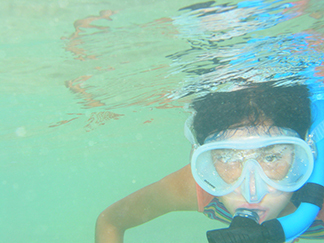 More on Shoal Bay Scuba and snorkeling charters here.